The book starts with the chapter "recognizing modern business challenges and opportunities". The author comes up with things like "business transformation starts with digital transformation" or "businesses will need to rethink every element of their business". It contains a typical opening for this topic. At page 35 of 68 chapter 3 starts. "Transforming you Business with SaaS". There are given some helpful links like "www.oracle.com/cloud/saas-scalability.html" or "www.oracle.com/cloudtco" and some others. environments and extending apps with social, mobile and process capabilites. I think without some additional links, this is much to short. 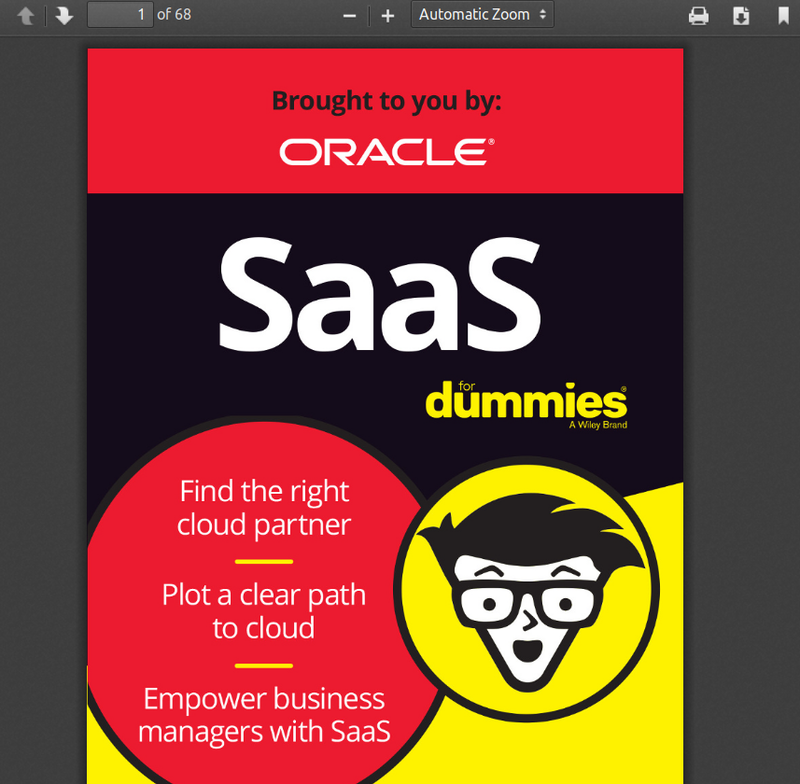 By far the best chapter is chapter 5: "Ten (or so) Important Questions to Ask you SaaS Provider". I will not reveal these questions (and answers) on this blog - but this is really helpful. Nevertheless the answers are sometime too short. From page 57 up to 61 a glossary is provided. 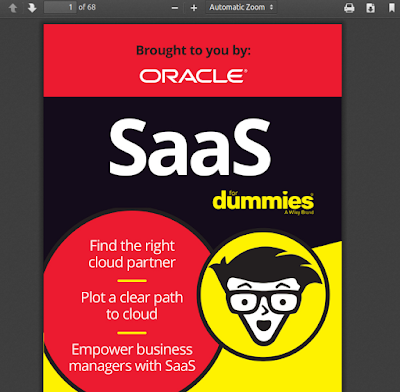 My conclusion on this book: This is a really good quickstart into SaaS but not a deep dive into this topic. Thanks to Oracle to provide it as free download.